Perhaps the most essential part of your car is your windshield. Auto glass protects the operator and passengers from wind drafts and debris; you can’t afford to have it damaged as it will cause visibility problems that may lead to road accidents. That is why when you’ll have it repaired or replaced, choose only the best autoglass service to fix it. You can rely on Marietta Autoglass’ high quality repair solution - premier services that will give your car’s windshield royalty treatment whether you’ll have it repaired in our service shop or in your home. The next time you have windshield issues, make it a priority to give us a call first to get the kind of service for your money’s worth. Small flying debris the size of a penny flung by a strong gust of wind or by another vehicle is more than enough to chip your windshield. If left untreated, it could lead to unwanted problems too! Chips will be the central point from which all external pressures will attack the windshield’s integrity and cause long-term damage to your vehicle’s operative vision. The kind of professionals that you hire to help fix your vehicle will determine how good the outcome will be. You’lll only want the best for your car now, don’t you? Windshield glass, much like other autoglass, has limited durability. Even if it prevents damage from an external source, its weak atomic bonding will eventually cause it to crack after many years. At Marietta Autoglass, we prioritize and specialize on each problem that our customers brings to us. 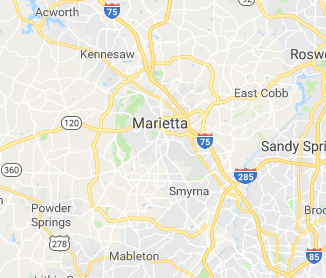 Having been in the auto glass industry for well over a decade, we are a contender in the Marietta area as well as in the whole state of Georgia. Our experience in auto glass repair has given us great understanding on what type of treatment products and expertise is needed to apply per a case-to-case basis when it comes to windshield damage. We guarantee that we will fix your autoglass up to its respective long-term reliability, plus a lifetime repair warranty. Ultimately guaranteeing you that you will only spend on repairs once. There is a saying that goes, “the best man is only as good as the tools he’s got.” It’s like being trained as an aircraft pilot and you were asked to drive a luxury boat instead of a Boeing 747. You got the right knowledge in taking passengers from one place to another, except that you’re using the wrong tools to do the job. The same is true when it comes to auto glass repair. We here at Marietta Autoglass have got the best technicians and the best tools in the business, which is why we deliver only the best quality service to our customers. All of this combined makes us the number one auto glass repair service vehicle owners come to for their auto glass repair needs! We Can Go Mobile Too! Like you, we too own vehicles of our own. Whatever you’ve experienced with your car, we’ve also experienced; we understand just about every issue you’ll have with your vehicle. One of the issues that are common to car owners is a windshield that’s too damaged to be able to have 100% visibility, and one that i will impede your ability to drive. Faced with this predicament, we’ll find a way to help you in the time of your need If you can’t bring your car to us, then we’ll take our service right onto your doorsteps! Marietta Autoglass has the capability to live up to every customer’s expectations. When we say that we are the best, that’s because we deliver the best repair service in town. No matter what issues you may have with your vehicle’s autoglass, you can always count on us to give your car the ultimate treatment and care to make it look brand new.